Local as well as international NGOs are the lifeline for vulnerable Somali communities for 25 years by now. Basic social services, such as shelter, water, health and education critically depend on their support. A functional government is virtually nonexistent. However, the role of the NGOs is not without controversy. Though humanitarian aid has been delivered for such a long time, it is still largely done without strategic planning, priority setting and coordination — and most of all, it does hardly involve local governments and communities. The situation has fostered a plethora of overlaps and gaps and led to service inequities and an apparent inability to produce the necessary impact on the side of many projects. After the Somali government was re-established and a sovereign federal government with federal member states from a transitional authority were set up, development partners decided to reenter the scene. While certainly well-intended, this has swung the pendulum creating something of an aid paradox. On the one hand, there are humanitarian aid agencies who ran the operations for such a long time that they simply want to go back to their business as usual. On the other, Jubaland now has development partners who believe in the strengthening of government capacity. When it comes to the actual implementation of their programmes though, the latter are faced with the problem that they heavily rely on the longstanding humanitarian agencies. The new federal government and its member states are trying to exert their authority by getting more involved in the management of aid flows. They are setting standards even though they lack the necessary institutional capacities to proficiently allocate, coordinate and monitor aid services. At this crossroads, the question arises how development partners can support government to fulfill its regulatory role — considering its given institutional weaknesses — and jointly work on ensuring sustainable interventions. Building on previous experiences with coordinating government partners, the Fish for Nutrition project team in Kismayo, Somalia, designed a partner engagement strategy that allowed for a strengthening of partner ministries’ capacities. The project supported the Ministry of Fisheries and Marine Resources with their efforts to strengthen capacities at both technical and policy levels. This included action in the area of human resources and providing much-needed equipment. As a result the ministry has become more active; for example, a Jubaland fishery policy is being developed and the collection of fish production data has started. 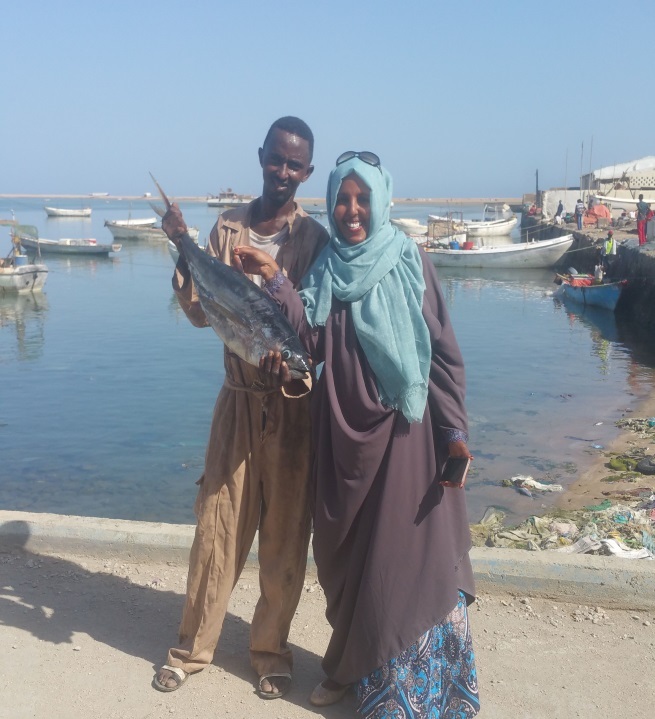 In addition, the Fish for Nutrition project team’s engagement with all stakeholders resulted in the creation of the Jubaland fishery sector working group under the food security cluster. This sector working group recently participated in a study tour funded and organised by GIZ, the ministry and the Norwegian Refugee Committee, with the aim to learn from the experiences in the fisheries sector development in Somaliland. Study tours in general help avoid reinventing the wheel as lessons learned elsewhere are applied, allowing for the targeting of resources more efficiently. The approach taken by the project is to address the complex aid management paradox. It may not address all of the coordination challenges of the fisheries sector. However, it provides new and simple steps in the right direction. The fundamental belief that government involvement and leadership is crucial for carrying out sustainable development projects in Somalia, allows the project team to be patient, creative and innovative in working with line ministries and other partners. For privacy reasons YouTube needs your permission to be loaded. For more details, please see our Privacy.